Dr. Erin Lane received her DVM from Texas A&M in 1997 (Gig’ Em Aggies!). With the intention of being a horse doctor, she worked in Oregon and the Central Valley in mixed animal practices. She made the switch to small animal and exotics practice when she settled in Santa Rosa. In 2013, she became the proud owner of Occidental Veterinary Hospital. Dr. Lane’s professional interests include nutrition, ultrasound and surgery. 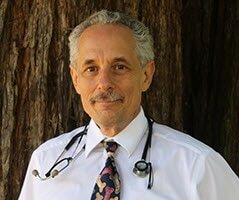 In 2003, Dr. Lane was selected for the highly competitive Don Low fellowship at UC Davis in clinical nutrition. She has a passion for being an animal’s advocate and strives to provide comprehensive care to all her patients. A life-long equestrian, Dr. Lane rides and competes in dressage. She shares her home with her supportive family, Poppy the dog (who you may see at OVH) and cats Violet and Rocket. In her spare time she likes to spend time with her family, travel the world and explore Sonoma County. ​Dr. Joe Graff is a Sonoma County native who graduated from Piner High School and Santa Rosa Junior College prior to receiving a B.S. in Biochemistry and his veterinary degree at U.C. Davis. ​Joe was a charter member of the California Veterinary Medical Association’s Human/Companion Animal Bond Committee in the 1980s. He worked at busy urban veterinary emergency hospitals prior to coming back home to Sonoma County. He is involved in multiple community volunteer activities and enjoys spending time with his family, dogs, and sheep.